Since the airing of the British nature documentary series on marine life, Blue Planet II, the unintended consequences of single-use plastic disposables have come to weigh heavily on the mind of the British public. 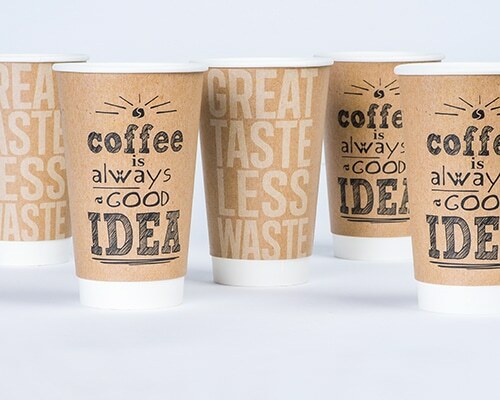 This, together with the threat of governmental intervention, such as the #latte levy*, has resulted in a reappraisal on how we use and dispose of single-use products in the catering and hospitality sector, and a recognition from all parties in the supply chain that we must step-up, act and create positive change. One aspect of positive change that has come to the fore is product innovation. Manufacturers in the supply chain for foodservice disposables have identified the need to create innovative products from alternative material types, or with reduced plastic content, designed with end-of-life solutions in mind. One such innovative product is the reCUP™, manufactured by supplier CupPrint and launched at Bunzl Catering Supplies in June 2018, the reCUP is a great example of how technical innovation can offer new and exciting developments in product design. Made with an innovative barrier coating for paper cups called EarthCoating™, the reCUP uses 48 per cent less plastic than a standard PE lined paper cup and is fully recyclable when disposed of in a dedicated paper cup waste stream. When segregated from mixed recyclables to avoid the issue of contamination, and sent as a dedicated paper cup waste stream, the customer has the assurance that the reCUP is being recycled rather than going to landfill. Production of the reCUP topped a record 10 million cups in July – which reflects the current demand for credible alternatives in the foodservice industry that continue to deliver practical solutions, but with a reduced impact on the environment. The reCUP has also just been recognised by the prestigious, German, Green Dot (Der Grüne Punkt). The Green Dot is the license symbol of a European network of industry-funded systems for recycling the packaging materials of consumer goods. Product innovation will be a key part of sustainable change in our industry, and Bunzl Catering Supplies is committed to bringing this innovation to its customers first. For more information on reCUP or any other sustainable product innovation – please give us a call. * A proposal from the Environmental Audit Committee to add a 25p charge to every disposable coffee cup bought by consumers.